For the troubled “DC Expanded Universe”, Wonder Woman is a sign that all may not be lost after the near-trainwrecks of Batman v Superman and Suicide Squad, but I’m not prepared to join the chorus singing its praises, and while it’s not a bad movie, I can’t help but wonder if the excitement is subconsciously influenced by how good it looks in comparison to its immediate predecessors. As far as “origin stories” go, this falls somewhere in the middle; it’s easily a more competently-crafted film than BvS or Suicide Squad, but isn’t as memorable or innovative as the best of what either DC or Marvel has offered in recent years. While Diana Prince/Wonder Woman (Gal Gadot) made her debut with a glorified (and awkwardly shoehorned) cameo in Batman v Superman, here we flashback to tell her origin story (with a wrap-around modern day bookend). As fans of her comic series will know, Diana grows up on the island of Themscira, populated entirely by adult amazonian warrior women and hidden from the outside world, as the demigod daughter of Zeus and Queen Hippolyta (Connie Nielsen). As a child, Diana seeks to emulate the older warriors, which is indulged by General Antiope (Robin Wright) but frowned upon by Hippolyta. 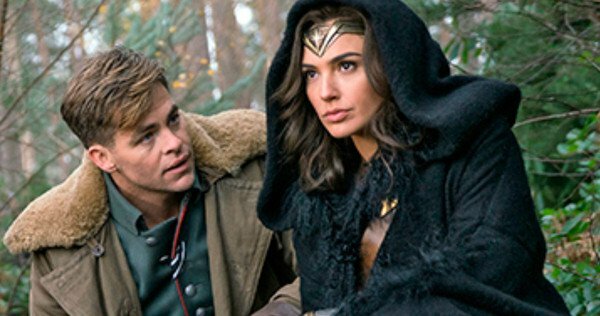 Diana’s sheltered idyllic existence is interrupted by the crash-landing of American intelligence officer Steve Trevor (Chris Pine), who, under interrogation, informs the amazons of WWI, “the war to end all wars”, which has been raging for four years and left millions dead. A horrified Diana feels compelled to help, also convinced that the amazons’ old enemy, Ares the God of War, must be orchestrating the global conflict. Accompanying Steve to London, Diana learns that the armistice to end the war is imminent, but this is unacceptable to the hardline German General Erich Ludendorff (Danny Huston), who with his prized chemist “Doctor Poison” (Elena Anaya) has developed new deadly gas weapons which he believes can win the war for Germany with one blow. Diana and Steve assemble a motley crew of accomplices (Saïd Taghmaoui, Ewen Bremner, Eugene Brave Rock) on a secret mission to the front lines to find and destroy the weapons depot, and for Diana to confront General Ludendorff, whom she believes is Ares in disguise. Diplomatic official Sir Patrick Morgan (David Thewlis) publicly opposes this for fear of endangering the peace negotiations, but privately offers his help. Narratively, especially given its war setting, as well as some other plot aspects, Wonder Woman recalls Captain America: The First Avenger with a dash of Thor in the themes of a god meeting mankind and the climactic god versus god throwdown. WWI doesn’t get much attention in film, so the setting inherently gives Wonder Woman a sliver of distinction, and we get scenes we don’t typically see in comic book superhero movies, such as a poison gas attack on a village, and Diana leading a charge across No Man’s Land between the trenches toward a dug-in German position. Also, despite the seriousness of some of its subject matter, Wonder Woman, unlike the lugubriously grim BvS, isn’t afraid to have a lighter side. There’s humor in several of the Diana/Steve interactions, and especially the fish-out-of-water scenes with the severely sheltered Diana wandering around London, with Steve and his secretary Etta (Lucy Davis) trying with varying degrees of success to help her “blend in” (something Diana doesn’t make an easy task by walking around carrying a sword and shield). In fact, tonally, Wonder Woman feels more akin to Marvel’s movies than anything DC has put out onscreen recently. But while it may substantially tone them down, Wonder Woman doesn’t completely disentangle itself from some DCEU tropes. The action sequences overuse Zack Snyder-style “artsy” slow motion and cartoonish shots of Diana leaping absurdly high through the air. The narrative does a decently effective, if somewhat over obvious job of misdirecting us about who Ares really is, but when he and Diana come face-to-face in the climax, it’s one of those standard issue over-the-top throwdowns of two beings with godly powers, where they zip through the air like cartoon characters, cast lightning down on each other, and fling tanks and cars and buildings with effortless ease, to the point where we’re a little disengaged, partly because of the excess of CGI, partly because in my opinion, characters who are virtual or literal gods are less relatable (part of why I’ve always preferred Batman over Superman). On the plus side, the climactic face-off isn’t just Diana and Ares throwing stuff at each other, and they’re allowed to have a little philosophical argument about whether or not mankind deserves to be saved. The severely sheltered, naive Diana also undergoes a character arc of learning to see less in righteous moral black-and-white and to recognize both man’s positive and negative potential. Other plot elements are half-baked, however. A climactic self-sacrifice is curiously lacking in emotional impression. Apart from Ares, the most visible villain for most of the movie is Danny Huston (one of Hollywood’s go-to guys when they need a generic mustache-twirling bad guy) as General Ludendorff, who in fact was a real person, although to say a little dramatic license is taken is an understatement. Gal Gadot looks the part well enough, and has sufficient screen presence, but her performance is a bit one-note and her more emotional scenes lack depth. She seems to have been cast more because she looks the part than for her acting abilities. Chris Pine, meanwhile, is in the rare position of the man being the one in the somewhat thankless role of the “love interest”, but he uses his charm and likability to make the most of it and make Steve a worthy cohort/romantic prospect for Diana. In the supporting cast, Danny Huston is his usual generically mustache-twirling self, and Lucy Davis provides a little comic relief as Steve’s no-nonsense secretary. 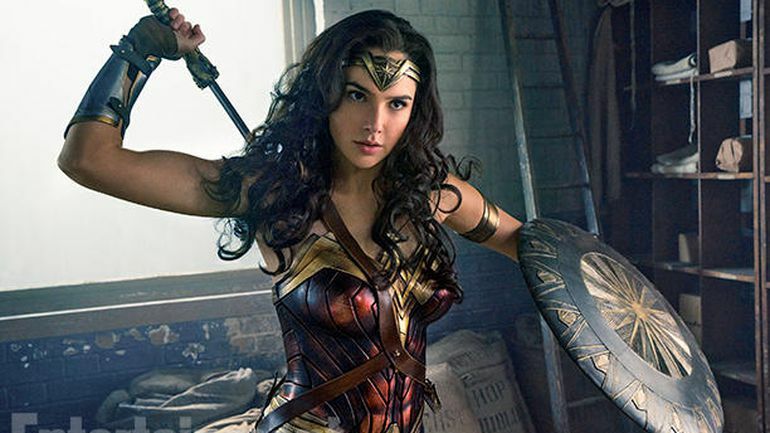 Wonder Woman has the welcome appearance of a competent, professionally-crafted film in comparison to BvS or Suicide Squad, but it doesn’t compare to the likes of Batman Begins among superhero origin stories, occupying a middle ground of enjoyable but more-or-less forgettable mediocrity occupied by the likes of Captain America: The First Avenger (to which its narrative bears more than a passing resemblance). Also, it’s a dubious prospect how much even one decent movie will be able to do to right the ship at this point, given the DCEU’s shaky foundation. In any case, Wonder Woman is an enjoyable enough diversion, but its impression somewhat evaporates after it’s over.